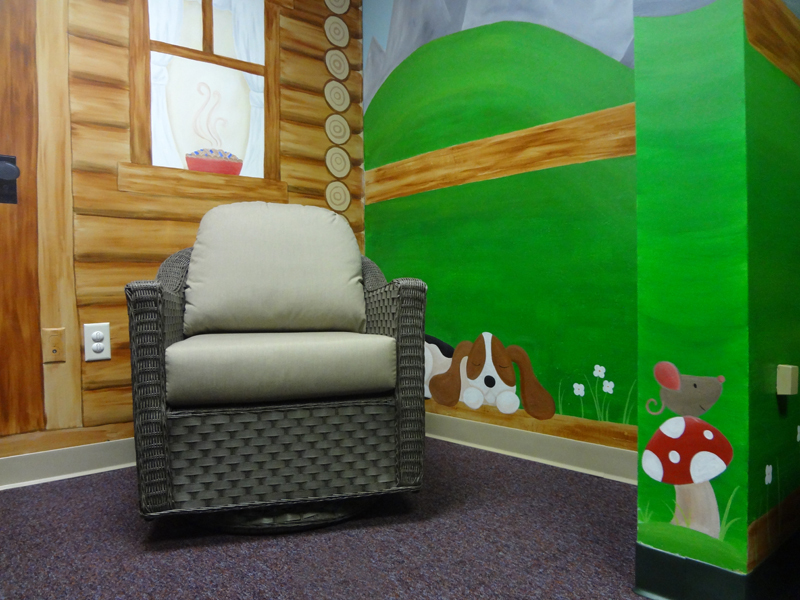 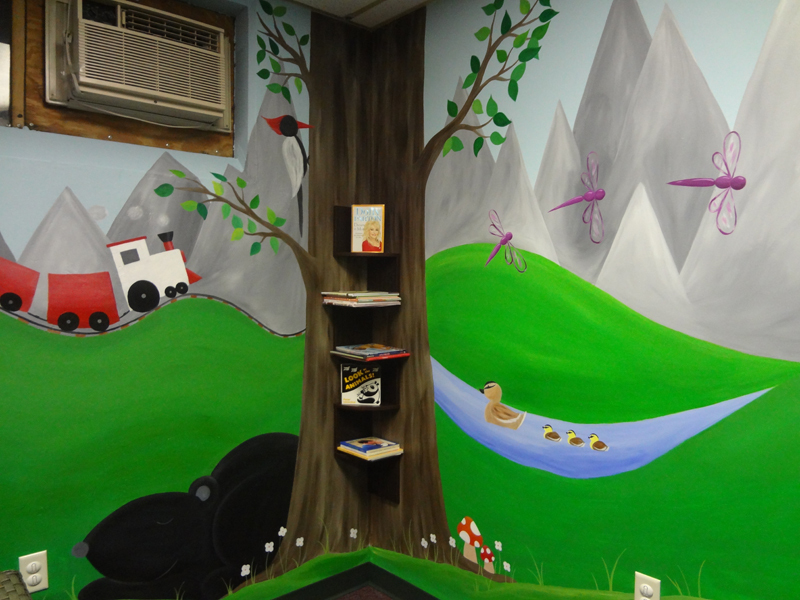 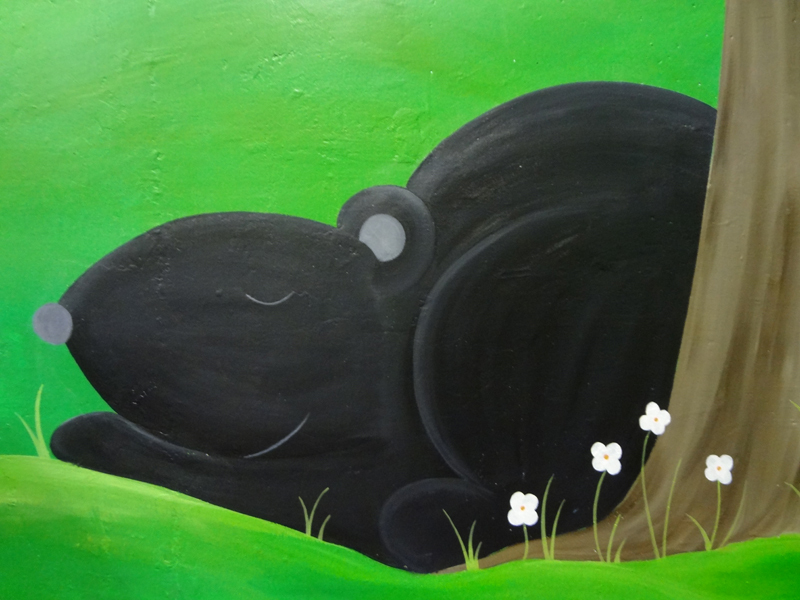 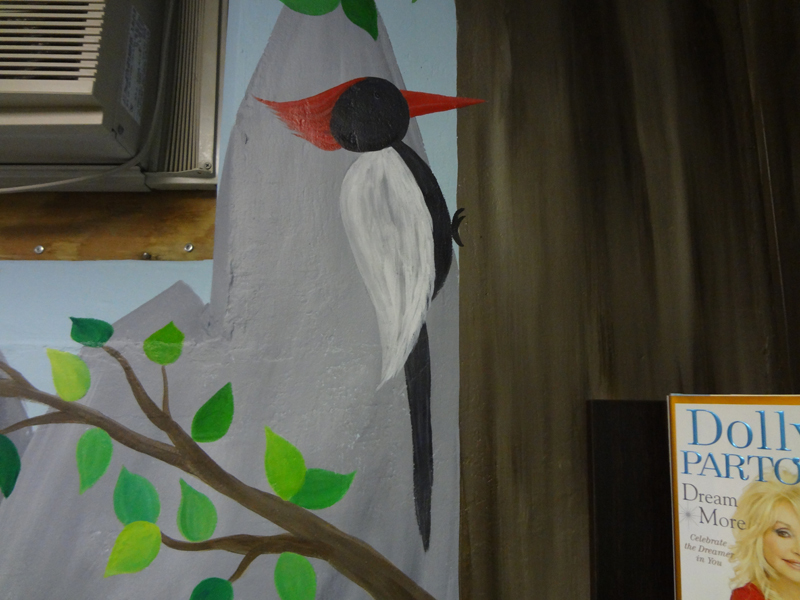 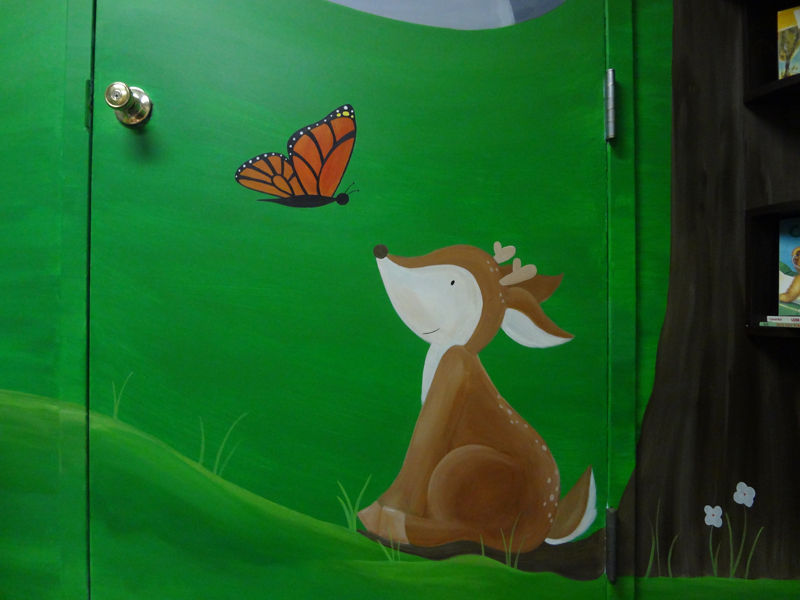 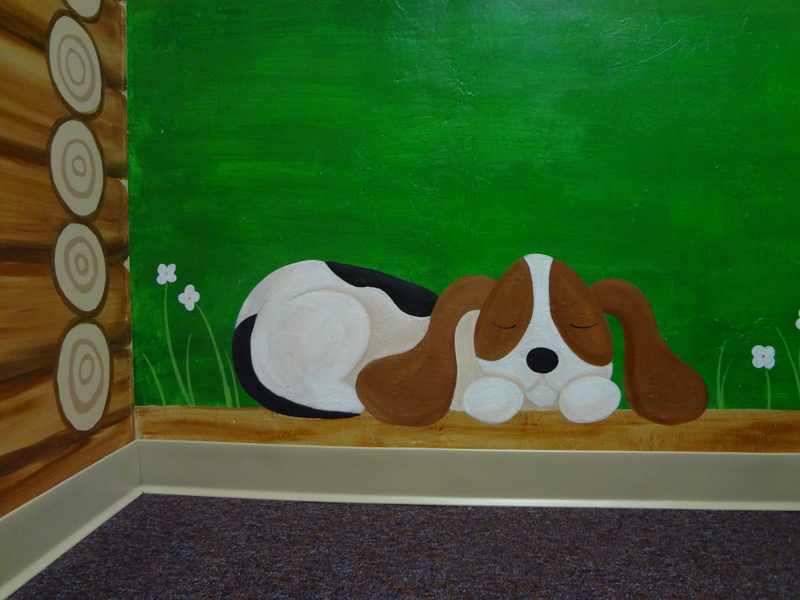 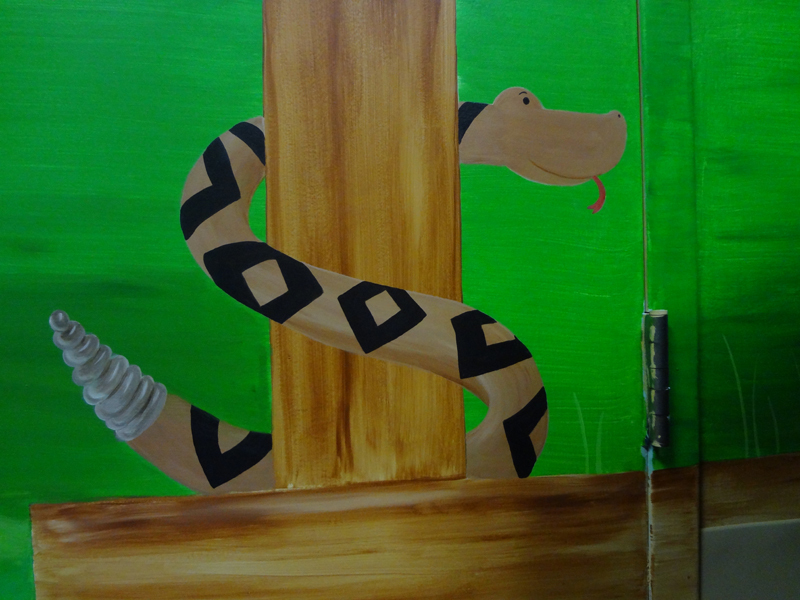 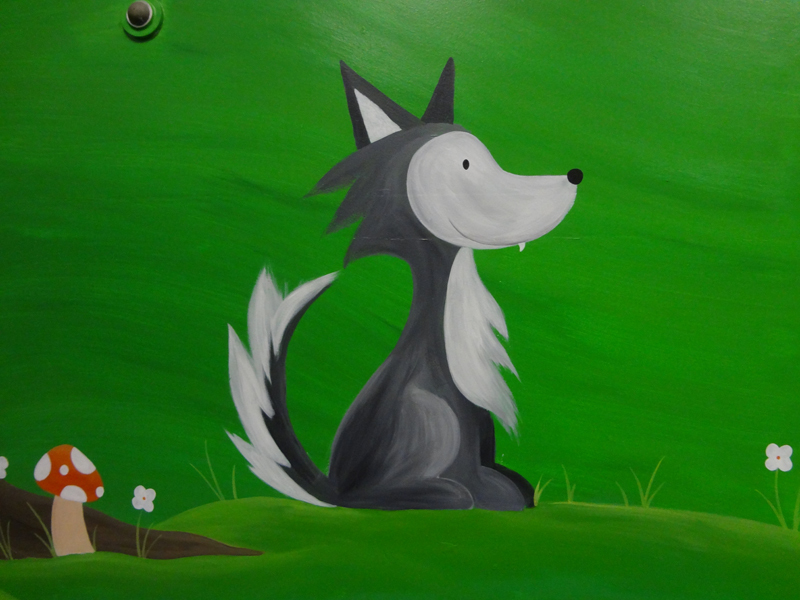 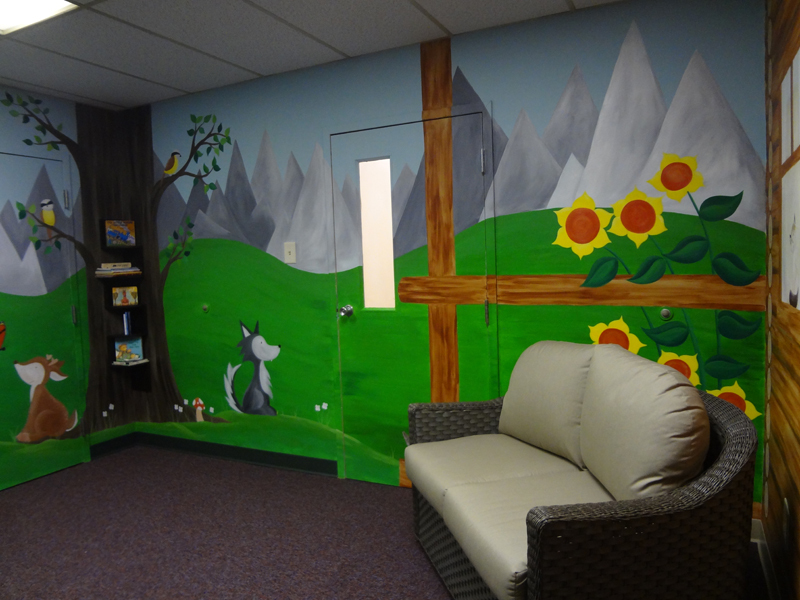 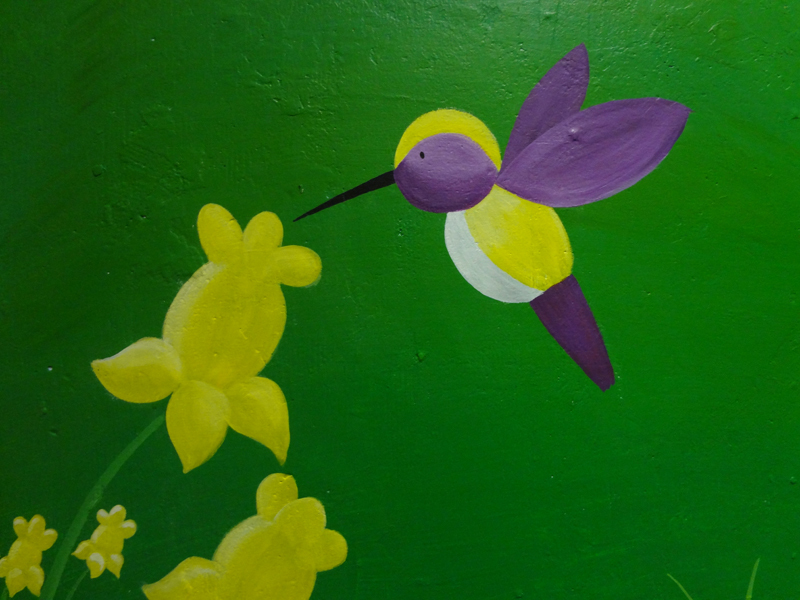 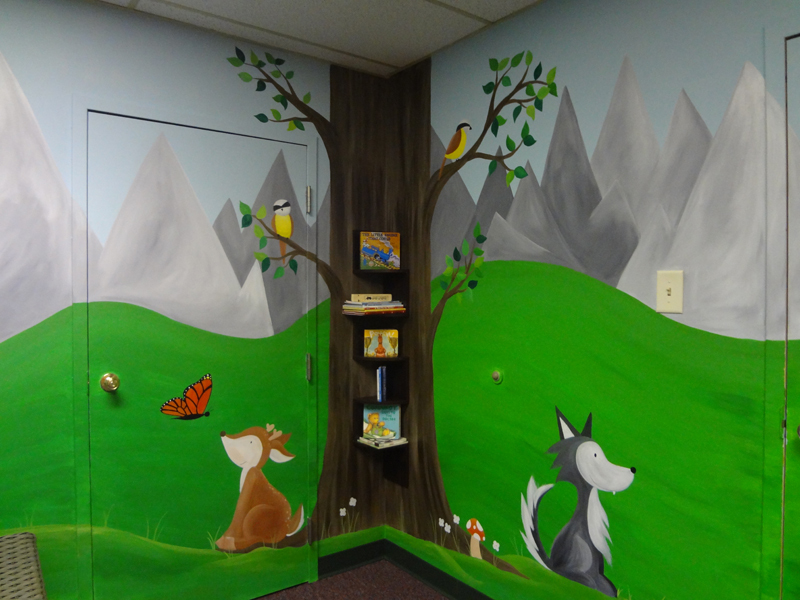 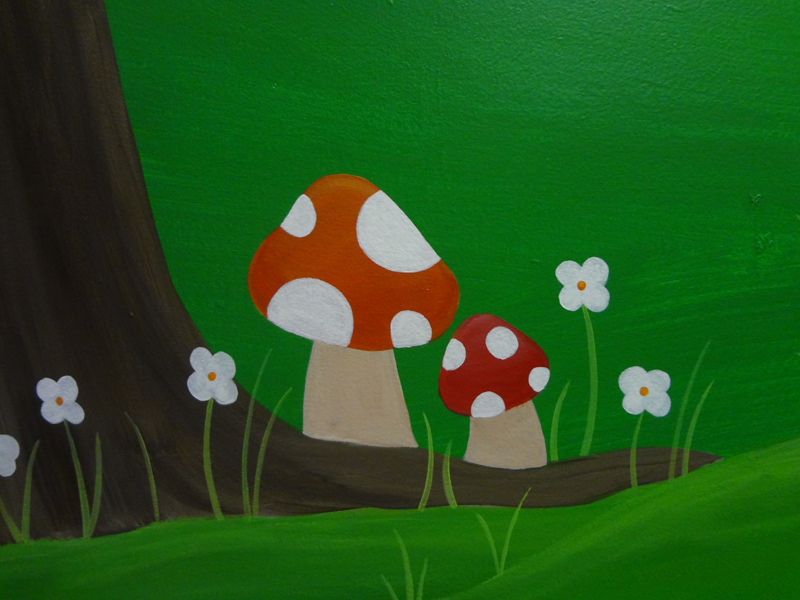 During the fall of 2014 I was commissioned to paint a mural for the reading nook for the Dolly Parton Imagination Library, in the John F. Kennedy Center. 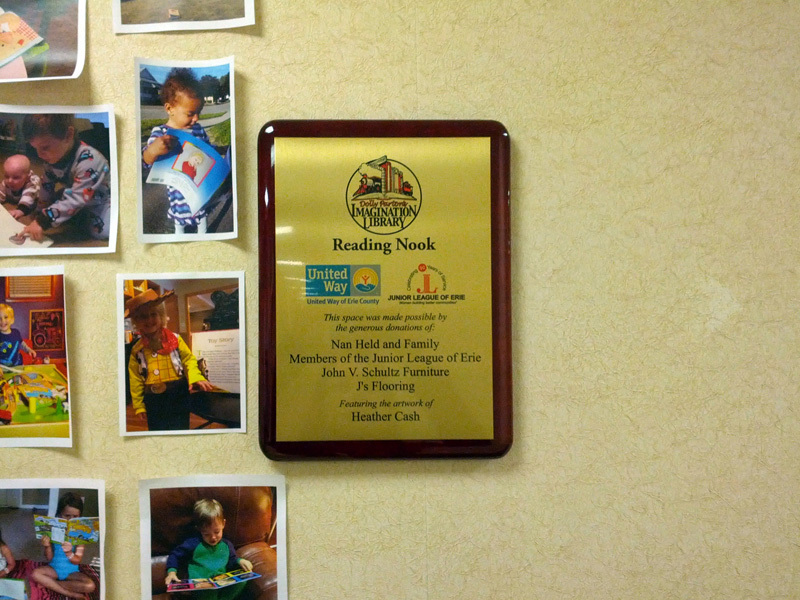 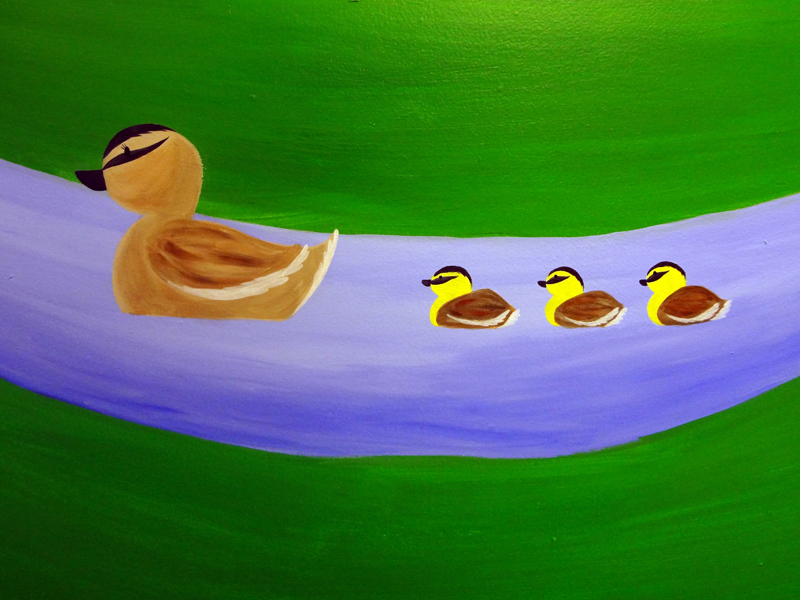 The project was spearheaded by the Junior League of Erie, and funded by United Way Erie. 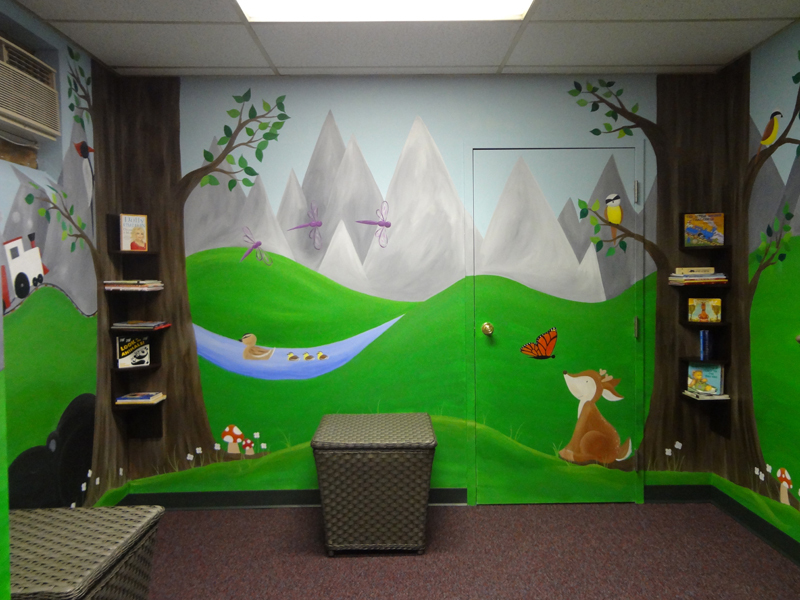 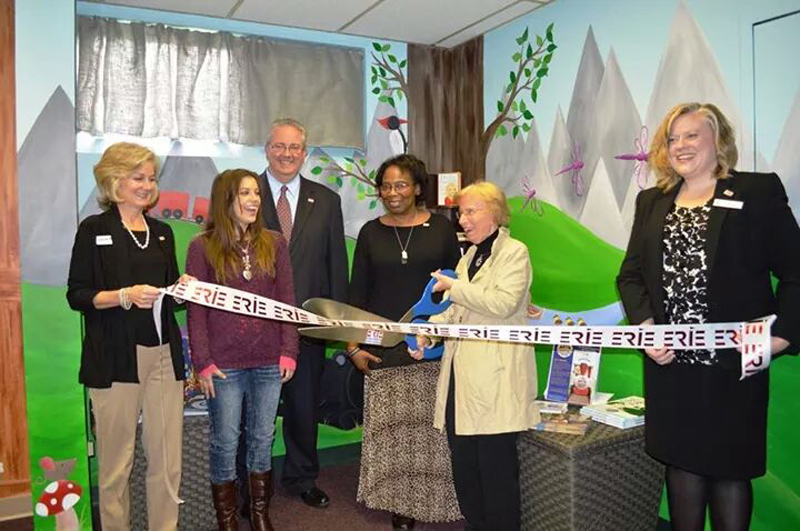 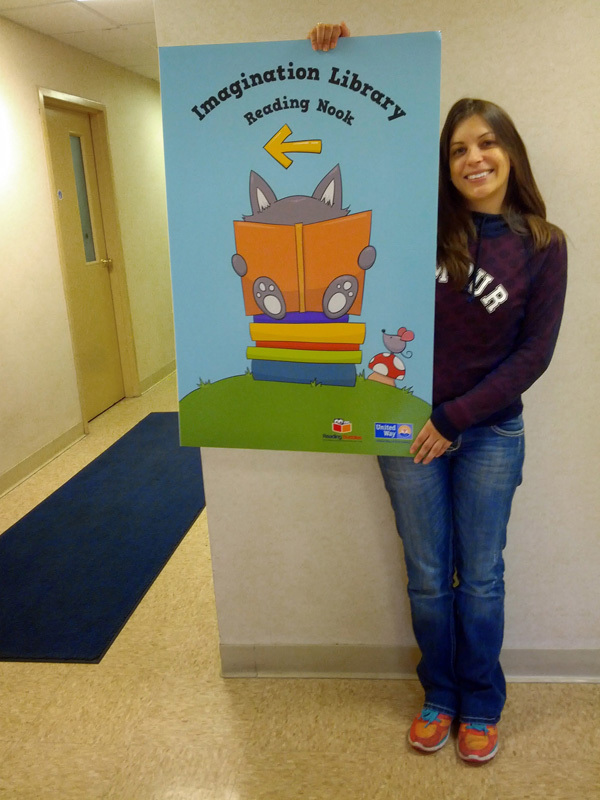 The Imagination Library is a program that provides free children’s books to kids 5 and under, and the reading nook would be a library of the books offered. 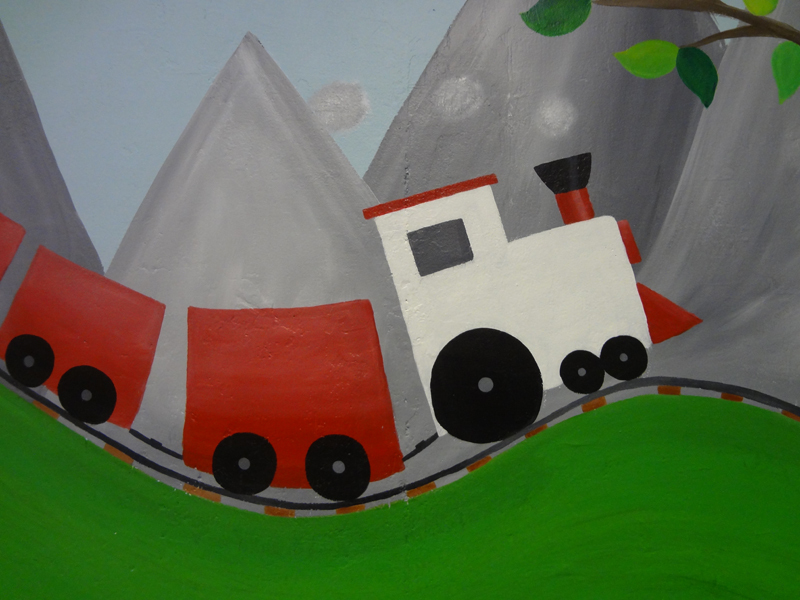 This was such a fun concept to bring to life. 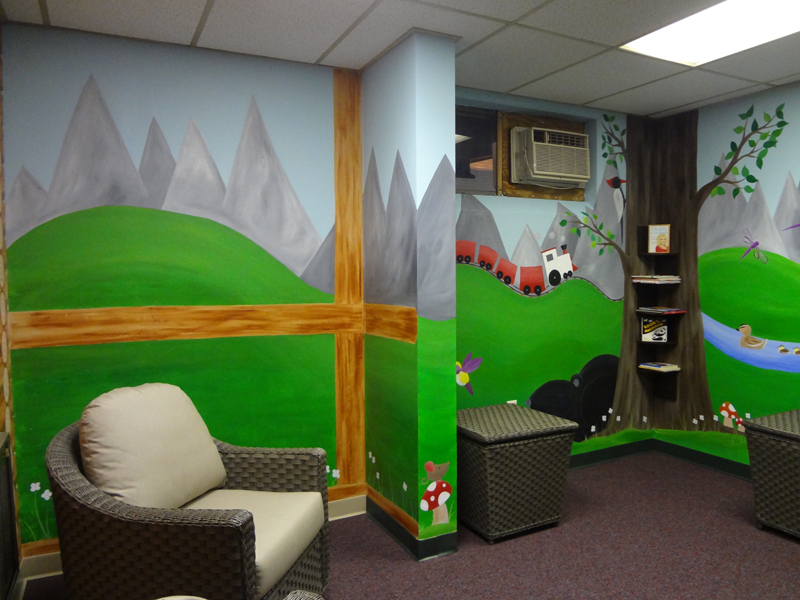 The concept is inspired by Dolly Parton’s childhood experience with reading. 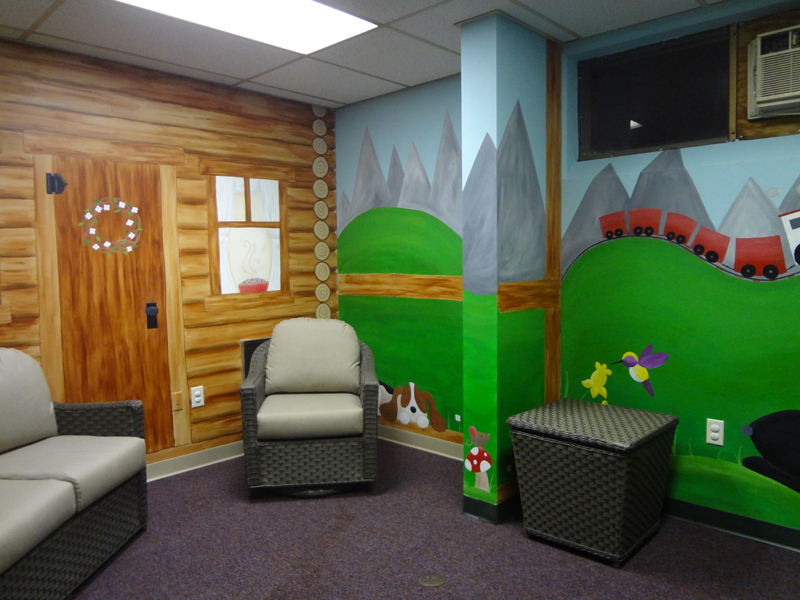 When Dolly was young, her mother would read to her on the porch of their log cabin in the woods. 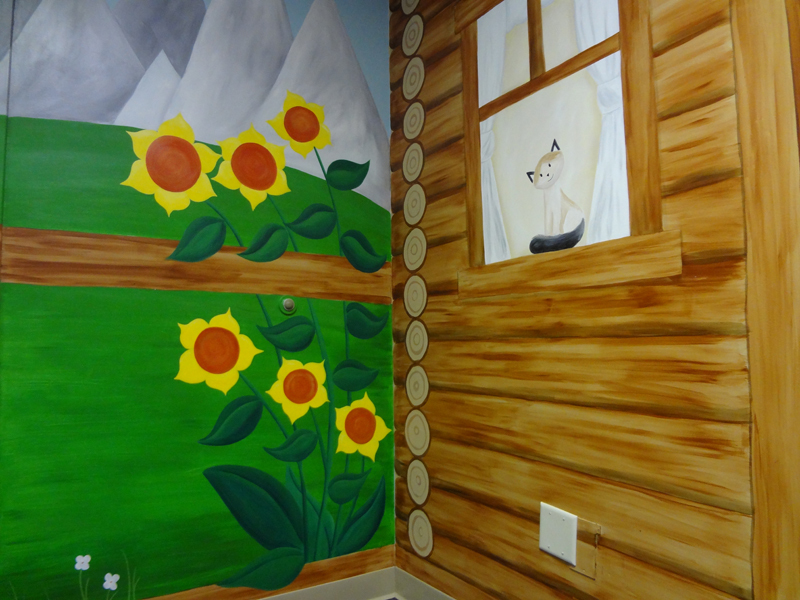 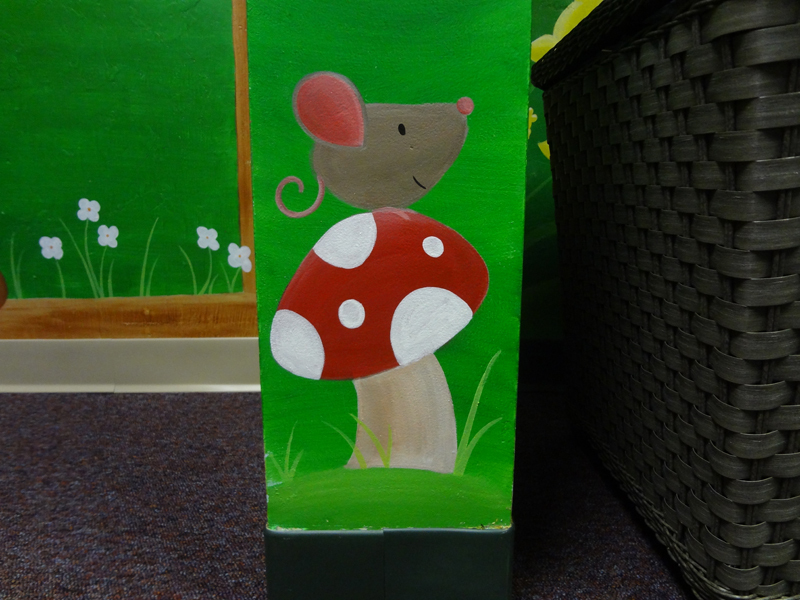 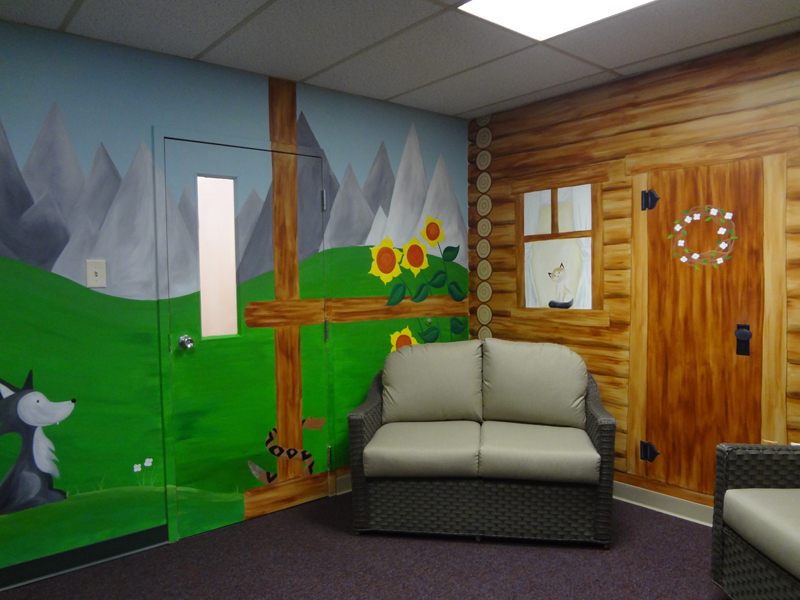 So the design of the reading nook is exactly that – I painted one wall to look like the front porch of a log cabin, and the other 3 walls to look like the woods, filled with forest critters. 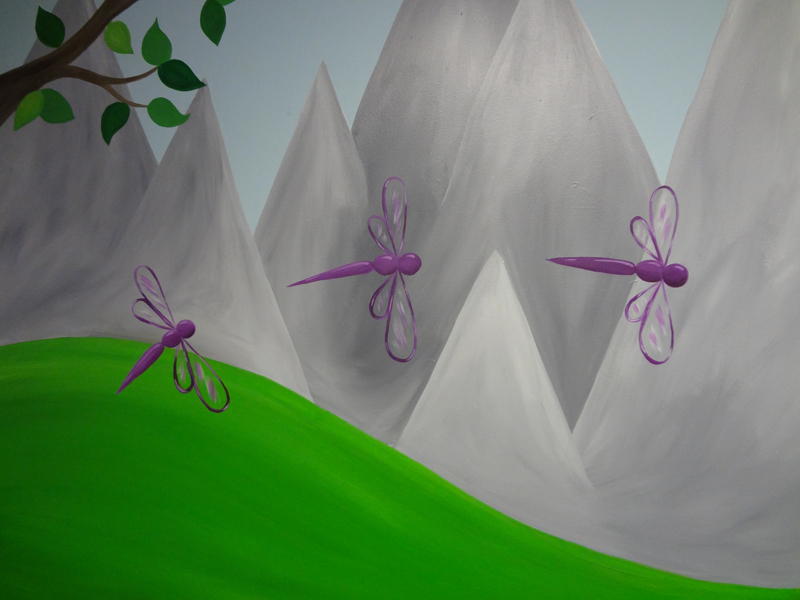 Hills and mountains are seen in the background. 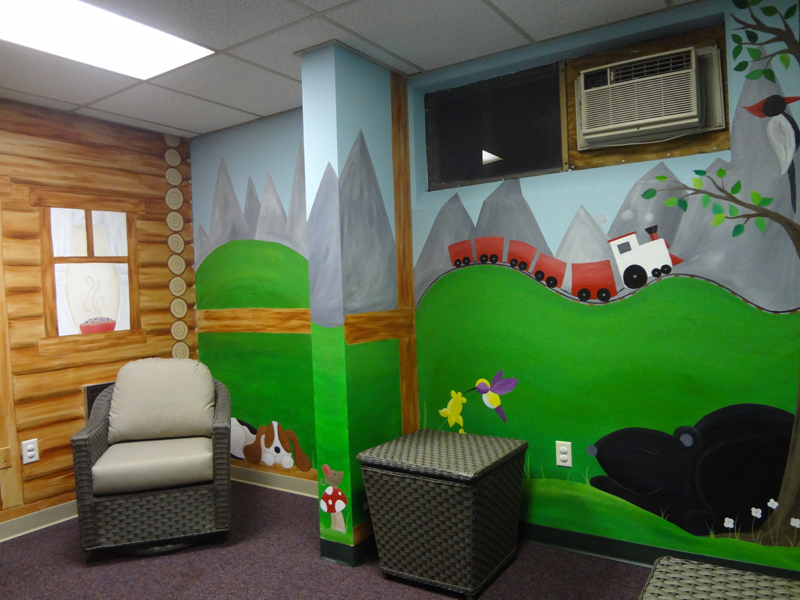 I painted a tree in each of the two corners opposite the cabin, and volunteers installed bookshelves going up each of the trees. 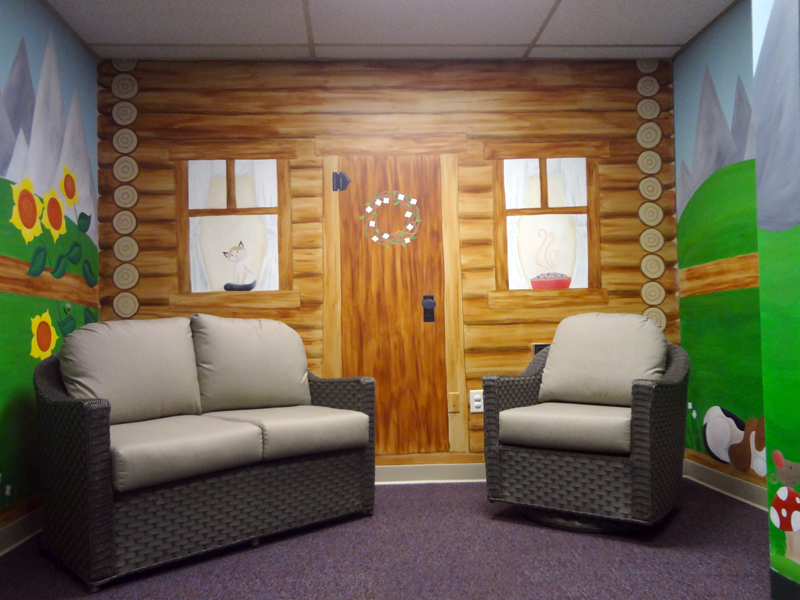 The Junior League decorated the room with cozy cushioned porch furniture. 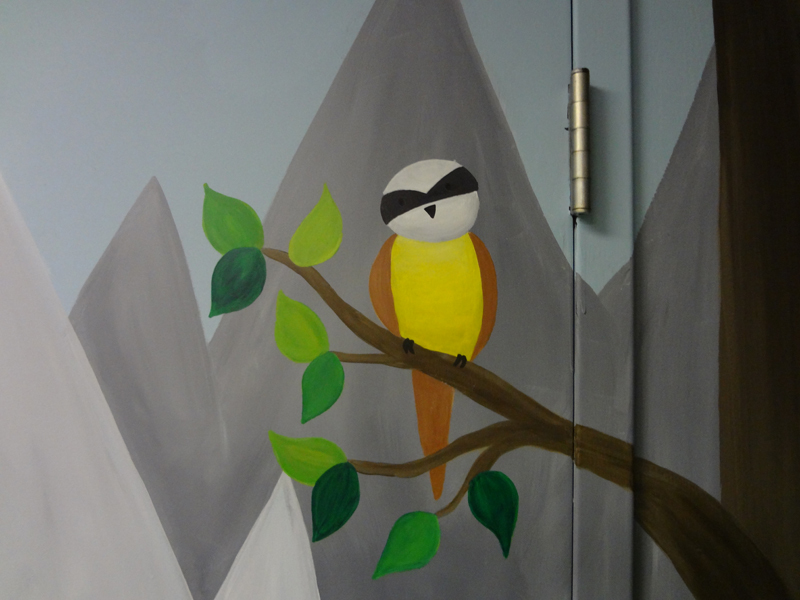 I just love how it all turned out!